You may borrow up to 100% of the equity in your home. Home Equity Loans can be used for debt consolidation, home improvements or for various wants or needs. Equity is the value of your home less the existing mortgage balances. You can borrow from $5,000 to $100,000. Even with very little equity in your home UECU will finance 100% of your home improvements. Your total mortgage balances may exceed the current value of your home. You can borrow from $5,000 to $100,000. We offer some of the lowest rates around, flexible terms to fit our members' needs, and low closing costs. Various programs and terms available to fit your needs. Contact United Employees Credit Union today at (507) 377-1616 or (800) 647-8666 for the right home loan from the right lenders. 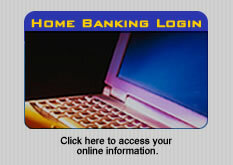 You'll receive information about a great mortgage resource.